Who are the Gentlemen of Fortune? 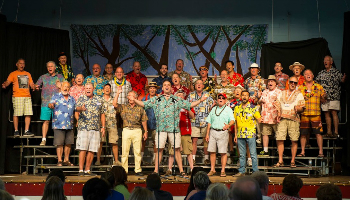 The Gentlemen of Fortune is Vancouver's premier men's chorus singing barbershop harmony and other a cappella styles. And having a blast doing so! We rehearse each Tuesday night and sing anywhere and everywhere that we can. There's nothing better than when we get together and join our voices together to pump out incredible vocal harmony. Come visit or join us, and book us for your next event! 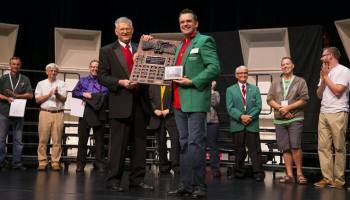 We rehearse every Tuesday evening at 7:30pm at Cliff Avenue United Church, 1600 Cliff Avenue, Burnaby, BC. Book us for a show! Want Gentlemen of Fortune to sing at your next function? Why not hire the Gentlemen of Fortune to entertain at your next event? We can perform at corporate functions, charity events, community Entertainment events, birthday parties, christmas parties, awards nights, weddings, engagements, anniversaries, engagements, and even funerals and memorial services.